I was recently sent a link to an article from the Harvard Business Review entitled Manage Your Work, Manage Your Life. I opened it expecting to find some tangible information that I could apply to the rank and file at my own workplace – bookkeepers and loan officers and tellers. Instead, it was all about the hardships of the most overworked and underpaid people in our society – business executives. Thank God, I thought, the Harvard Business Review is looking out for the little guy. I don’t have any qualms with the findings of the article – that in most cases executives have had to sacrifice family, friends and personal interests for the sake of their careers. Nor do I deny that many executives put in long hours and are under increasing pressure to perform. What I have a problem with is that the Harvard Business Review thinks this topic is worthy of study while ignoring everyone else. Plenty of people who work several floors below the executive suite have work-life balance issues. Many work two or three jobs and putting in 80 hours a week just to put food on the table and keep a roof over their heads. There are single parents struggling to find affordable daycare, who have no option but to call off work if a child gets sick or if the furnace breaks down and they have to wait for a repairman. And if they do have to take time off, many of them go unpaid. Executives, on the other hand, earn enough so that these problems become only minor inconveniences. Many can afford to have their spouses stay home and take care of children and the home. Even if they don’t, they have the wear-with-all to hire nannies and cleaning services and landscapers. And when they retire, they don’t have to wait until the age of 65 or 70. By their mid-fifties, they are walking out the door with generous retirement packages that allow them winter homes in Arizona and ski trips to Aspen while still being young enough to enjoy it. Meanwhile, due to the elimination of pension plans and decreasing company contributions to 401ks, some people who have worked hard all their lives will never see a retirement of any kind. Wait a second, do all executives make that kind of money? Not according to the Wall Street Journal. Murdoch’s bastion of the one percent states that executives don’t earn as much as we think. According to the article, over 65 percent earn less than $250,000 a year. Of course, this doesn’t include stock options, company cars and other perks the rank and file can only dream of. Besides, I don’t know about you, but if someone gave me $250,000 annual, I’d never have to mow my own lawn again. The same article said that many saw an increase of 10 percent or less last year. I don’t know how they survive. Most people are lucky to get an annual increase that keeps up with the cost of living and isn’t eaten up by rising health care costs. And that barista who just made the executive a five dollar iced decaf low fat mocha earns seven bucks an hour and only gets about 20 hours of work a week. So why the focus on executives by the Harvard Business Review? Why not concentrate on the rank-and-file? Simple. Its audience is either those who are in the executive suite, studying it, or want to be part of it. Those people don’t want to read about how their employees have to make the decision of whether to take unpaid time off work or leave their sick child at home alone. They want to read about real problems, like whether or not to install slate or granite countertops in their newly remodeled kitchen. No one can have it all. Life is full of trade-offs. If you want to climb the corporate ladder, you may miss out on some little league games. Your marriage may fall apart from neglect. But these things can happen even if you don’t have these ambitions. At least executives have the means to deal and the luxury of choice which many don’t have. 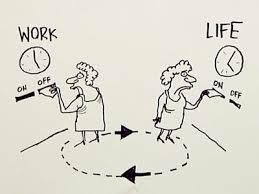 I consider myself lucky when it comes to work-life balance. My wife is able to stay home and look after our three daughters (and works harder than I do, I might add). My employer provides me with the flexibility to attend dance recitals and school conferences. Almost every evening, I’m home for dinner. There have been sacrifices. We live in a modest home. We don’t take fancy vacations. But we have all we need and then some. It’s the choice we made for our family. I’m not complaining. It makes it possible for me to curl up with my girls every night and read to them. Right now, we are reading “The Road to Oz”. As Dorothy walks through that magical land of tin woodsmen and talking scarecrows, I realize she is living in a world much more real than the writers and editors at the Wall Street Journal and Harvard Business Review will ever know. This entry was posted in What's New and tagged Executive Compensation, Executive Pay, Executives, Harvard Business Review, Work-Life Balance. You work at an auto plant where you are paid well, get good benefits and your employer treats you well. However, you are also semi-skilled and easily replaced. At any time, your employer can cut your wages and benefits, reduce your hours or fire you outright. If you lose your job, there are no comparable jobs in the area. At best, you’ll end up doing twenty-five dollar oil changes at the Jiffy Lube for minimum wage. Now, you’re given the opportunity to keep your benefits, your pay and your healthy work environment, and in addition, the ability to have a greater say in the workplace as part of a union. At least indirectly, you’ll have input into working conditions, pay and benefits. And if people have to be let go, you’ll have a say in that, too. On top of that, your employer is okay with the idea. Question: Would you take the deal? Tennessee was no. Friday, it was announced that the workers a there voted to rejected joining the United Auto Workers’ Union by a vote of 712to 626. I can’t help but scratch my head and wonder why. Sure, in some cases, it may make sense not to unionize, especially if the union has proven itself to be inept or corrupt, and your employer already treats workers as valuable stakeholders in the organization. 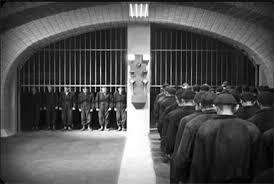 As I’ve written before, unions are not inherently good or bad. But in this case, there appeared to be no down-sides. It would allow a workers council to be set up that would cooperate with management to improve the plant. In addition, UAW members generally receive better pay and benefits than non-unionized auto workers. In my last post on this topic, I said that unionization was the workers choice, and it is. But only if those workers are able to make a choice free of bias and misinformation. One reason for the election’s failure was interference from outsiders. Pro-business groups, seeing any attempt at granting workers rights as a harbinger of Communism, lobbied against it. Politicians followed suit – the Governor warned that it would hurt the state’s ability to attract other employers. Legislators threatened to withhold VWs tax incentives. In essense, they promised to bring about the demise of the plant rather than allow a union. These may have been nothing but idle threats, but they were idle threats that worked. Ironic that these same politicians otherwise believe that government should keep its hands out of business. I guess they never expected business to side with workers. But while outside interference played a major role, so did a culture of anti-unon as old as the South itself. In Antebellum times, Southern states generally ran like oligarchies. The wealthy decided who would be elected to public office, enacting laws in their favor, living like wealthy nobles while black slaves toiled in their cotton fields under the threat of the whip, and white share croppers didn’t fair much better. And when this way of life was threatened by the growing influence and power of the North, they convinced those poor white people, who they never helped in any way, to go fight and die for them. We have to protect our rights from interference from the North, they said. When what they really wanted to protect was their right to keep slaves. I’m in no way equating the situation in Tennessee with slavery. Slavery is an abomination and the VW workers are by no means slaves. My point is that those in power are using the same arguments to keep workers from unionizing that they have always used in order to maintain control. They painted the UAW as a northern organization coming down to the South to tell them what to do. A complete myth. While having started in the Detroit auto plants, the UAW now includes many other types of workers throughout the country, including sourthern states. They also propogated the lie that if people become part of a union or some other group joined together for the common good, they will somehow lose their individual freedom. In reality, that individual freedom doesn’t exist. If you don’t believe me, look at all those people laid off in the great recession while the executives and investment bankers who caused them to lose their jobs managed to keep their own. I hope for the best for those Chattanooga workers. I hope they get their workers council without a union (although US law makes this difficult if not impossible). But if VWs fortunes turn, and the plant has lay offs, I doubt if any of the politicians or business leaders who decried a union will come to their rescue. This entry was posted in It's a Mad, Mad, Mad, Mad Worplace, What's New and tagged Chatanooga, Tennessee, Union, Volkswagen, VW, Workers Councils. 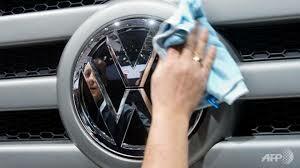 This past Monday, Volkswagen announced that 1,600 workers in its Chattanooga Tennessee plant will vote for a union. The United Auto Workers (UAW) is heading the effort, with the blessing of Volkswagen itself – Gasp! A corporation supporting unionization of its workers. The horror! What’s next, the distribution of Mao’s Little Red Book to all its employees and the replacement of the iconic VW symbol with a Hammer and Scycle on all its vehicles? It’s positively un-American. Then again, Volkswagen is not an American company. Since the dawn of the Industrial Revolution, the United States has had a love-hate relationship with unions. Most of it hate. Throughout the 19th Century, both state and federal governments little to support workers’ collective rights. And even when laws were passed, the courts often struck them down as unconstitutional. The reasoning – government had no right to interfere with commerce, and individuals had the right to negotiate their own working conditions with their employer, without being compelled to follow union rules. Even today, this attitude still exists in the twenty-four Right-to-Work states (Tennessee among them), where workers cannot be required to join a union as a condition of employment. This, individual workers are free to do as they please, sounds great in theory. But in practice, individuals have little power compared to their employers. Right-to-Work is a misnomer, a pretense for denying workers the ability to negotiate from a position of strength. In the 1870’s and 1880’s, violence broke out as workers protested, marched and went on strike over deteriorating working conditions. Police, the military and private detectives of the Pinkerton Agency were used to crush these strikes. Workers were arrested, beaten and even killed. Union organizers were labelled anarchists because they went against what those in power saw as the natural order of things (i.e. – they had all the wealth and power because God wanted it that way). It wasn’t until the Progressive Movement at the turn of the Twentieth Century and later, the aftermath of the Great Depression in the 1930s, that unions in America started to get some traction. They reached their height in the mid-1950s, when about a third of workers belonged to a union. Today, that number has declined to around 11 percent. Unions and union workers are often derided in this country. Union workers are seen as privileged, protected and lazy. Unions are viewed as self-serving and corrupt. In truth, unions are neither all good or all bad. My father was a union carpenter. Early in his career, he and a friend were hanging doors. He and his friend went to work with the efficiency with which Germans are renowned. After a while, their supervisor came by, stop working so fast, he told them, we don’t want to run out of work. He saw what the attitudes of a union environment could create. Then again, he and my mother raised six children, he owned his home outright (and another house on the lake later in life), he retired at age 62, and, despite a bad heart valve due to rheumatic fever, he always had the best of health care. All thanks to the union. I don’t always agree with unions, either. Anyone who has read my previous posts knows I prefer promotions and pay be based on merit, not seniority, as unions tend to do. I have also dealt with enough employee issues to know that some people deserve to be fired, while unions often defend their employees to the last, even when poor performance is blatant. I also know there are unions that collect union dues and give the members nothing in return, which is tantamount to extortion. Still unions were instrumental in establishing many workplace standards – child labor, safe working conditions, the eight-hour workday – standards we take for granted, and have benefited union members and non-members alike. Despite a shared love of cars, bratwurst and beer, Germany and the US are different cultures. As a whole, Germans are not as individualistic as Americans and there has been a long tradition of government cooperation (in the U.S. we’d call it interference) with business. While Pinkertons were busting strikers heads here in America, the newly created Germany was establishing retirement benefits, a national health care program, workers compensation and unemployment insurance. Its first Chancellor, Otto von Bismark, was a staunch conservative. Still, he understood that these programs were necessary to avoid the labor riots and strikes. As he saw it, a stable workforce was essential to a thriving economy. Today in Germany, while the Trade Unions are nowhere as strong as they used to be (membership is at about 20 percent) they are not as stigmatized as in the US. Workers councils are established within companies and factories, which cooperate with management to help the organization be more efficient. Unlike in the US, where unions and management are constantly at odds, often to the detriment of both sides, workers councils even have a seat in the board room. It’s hard to imagine any US company giving workers a say in decisions such as shutting down a plant, layoffs, or compensation. Many managers function with the belief that employees will only make decisions that benefit themselves personally in the short run, and not make decisions based on whats best for the overall financial health of the company. Maybe that’s because all to many of them make decisions for that exact same reason. The company I work for recently set out to better deliver service to its customers. To do this, we asked employees what they needed to make this happen. Did they bring self-serving ideas like needing raises or better chairs or ping-pong tables? No, they overwhelmingly gave real and actionable suggestions, many of which have been adopted. Workers want to do a good job, and when given a chance to provide input, they rarely disappoint. Is the German system perfect? Hardly. Like any system, you’ll find problems and complaints, many similar to the ones we hear about unions in the U.S. But fostering a partnership between workers and employers has benefits to both sides. Volkswagen has experienced this firsthand in its plants throughout the world and would like the same to happen in Chattanooga. So, if Volkswagen is not standing in the way of the union, who is? The governor of Tennessee, for one, who fears that it will hurt Tennessee’s competitiveness with other states if companies see it as a place friendly to unions. Other corporate giants (such as the infamous Koch Brothers) for another, who see unions as a threat to their own wealth and power. Thrown into this mix are the workers themselves, who next week will make their own decision about what type of work environment they want. Which in a democracy, is as it should be. This entry was posted in It's a Mad, Mad, Mad, Mad Worplace, What's New and tagged Chatanooga, Tennessee, Union, Volkswagen, Workers Council.